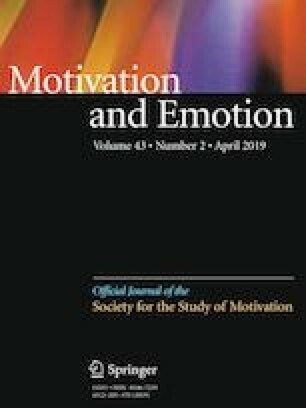 The present research examined the role of university students’ motivation for spending time alone in their adjustment to college life, as well as the parenting correlates of students’ healthy motivation for solitude. Two studies were conducted on first-year college students in the United States (n = 147) and Canada (n = 223). In Study 1, data was collected at three different time points, separated by two-week intervals. In Study 2, data was collected at two different time points, separated by a month. The results revealed that, for those who reported perceiving lower social belonging, approaching solitary time for autonomous reasons was linked to greater self-esteem (Study 1), and greater sense of relatedness to others and lower loneliness (Study 2). These findings suggest that endorsing a healthy motivation for solitude is not necessarily indicative of social ill-being. Additionally, students’ autonomous motivation for spending time alone was associated with having parents that are autonomy supportive and that promote a sense of independence. Please answer the following questions about your mother and your father. If you do not have any contact with one of your parents (for example, your father), but there is another adult of the same gender living with your house (for example, a stepfather) then please answer the questions about that other adult. If you have no contact with one of your parents, and there is not another adult of that same gender with whom you live, then leave the questions about that parent blank. 1 = not at all true; –; 7—VERY TRUE. Autonomous motivation for spending time alone. Think of times when you are by yourself. Those are times when you do not interact with anyone in person or virtually. You might be by yourself either because you want or choose to be by yourself, or because you just happen to be by yourself without intending to, or because you have to or feel like you should stay by yourself. Different people spend time by themselves for different reasons. Please indicate the extent to which each of the following reasons applies to you and all the instances when you are by yourself in general. Please choose 1 if the reason does not apply to you at all and 7 if the reason applies to you very much. Check scale correlation to see if simplex pattern of correlations shows up (Deci and Ryan 1985; Otis et al. 2005).